Successfully Added THL Knight 2 Smartphone - Octa Core CPU, 4GB RAM, 6 Inch Screen, Dual Rear Camera, 4G, Fast Charge, 4200mAh Battery (Blue) to your Shopping Cart. The THL Knight 2 has the looks of the Samsung Galaxy S8 but not the price tag. This large 6-inch screen smartphone has zero bezels on the sides and a 3D curved screen as well as dual camera and a fingerprint scanner on the rear. With 1440x720 resolutions and 18:9 aspect ratio the screen delivers bright and rich display for all your content be it games, movies or surfing the web. This handsome smartphone runs on Android 7.0 Nougat and draws is processing power from an octa-core Cortex A53 CPU and 4GB of RAM. So you can expect a speedy performance that is able to handle all your gaming and multimedia needs as well as cope with any multitasking you set it. You can enjoy 64GB of internal memory and should the arise storage can be expanded with a micro SD card by up to 128GB. With two SIM card slots and 4G connectivity, you can enjoy good cellular network support and fast as lighting downloads so you won't have any issues streaming HD video content. The Wi-Fi frequencies will also support rapid network capabilities with Wi-Fi 802.11 a/b/g/n/ac. 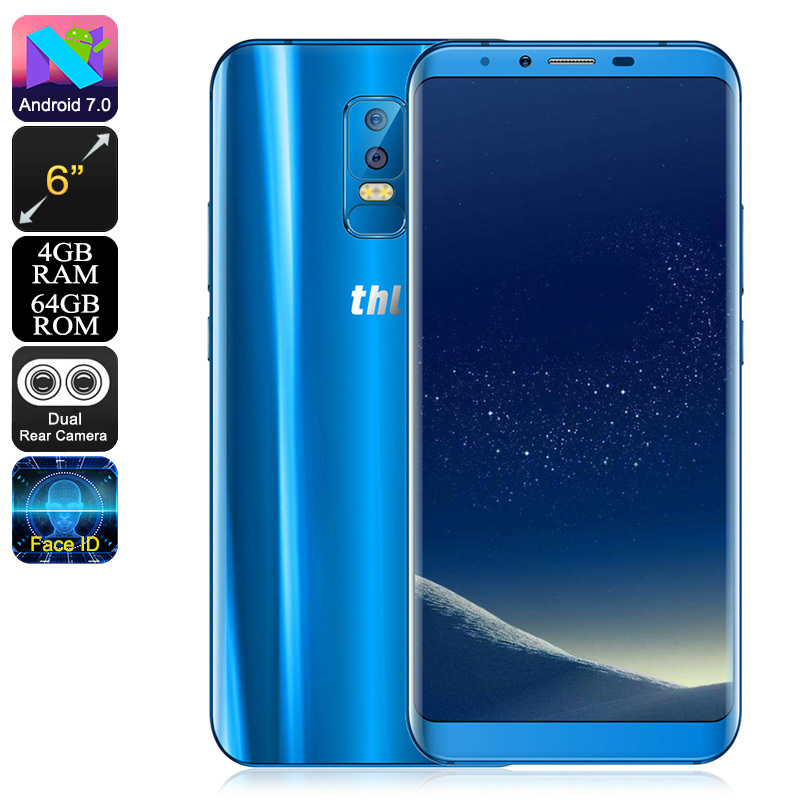 The THL Knight 2 Android phone product comes with 12 months warranty, brought to you by the leader in electronic devices as well as wholesale smartphones.